With billions of devices waiting to upgrade to Windows 10, and where most of these devices will be entitled to free upgrade to Windows 10, it’s most likely than not that the Microsoft servers may crash or hit bottleneck if everyone rushes to download the RTM build of new operating system on the day of release of Windows 10. On July 2, Microsoft finally published more details about how the company plans to roll out Windows 10 to OEMs, system builders, partners, Windows Insiders (beta testers), consumers, business and enterprise customers. After RTM but before July 29th: Microsoft OEM partners and manufacturers for them to start imaging new devices with Windows 10. Before July 29th: Retailers all over the world for them to assist their customers with upgrades of newly purchased devices that were originally imaged with Windows 8.1. From July 29th: Reserved systems will be notified starting from July 29th with step-up scaling (a few gets it first, more getting it as days go by). August 1st: Windows 10 Enterprise and Windows 10 Education available for download on Volume Licensing Service Center (VLSC). As you can see from the rollout schedule above, not everyone will get Windows 10 RTM on the launch day. In fact, the release will be slowly scaling up to allow Microsoft to fine-tune and fix bugs related with the upgrade process and compatibility. Of course, there is high, or even almost certain possibility that Windows 10 RTM code will leak, allowing everyone who wants to enjoy Windows 10 ahead of others early access. Recently purchased devices have free upgrade to Windows 10 message sticker affixed. According to Microsoft announcement, there is now more than 5 million Windows Insiders, which set to grow as GA date approaching. In addition, there are millions of reservations for Windows 10 upgrade from consumers. 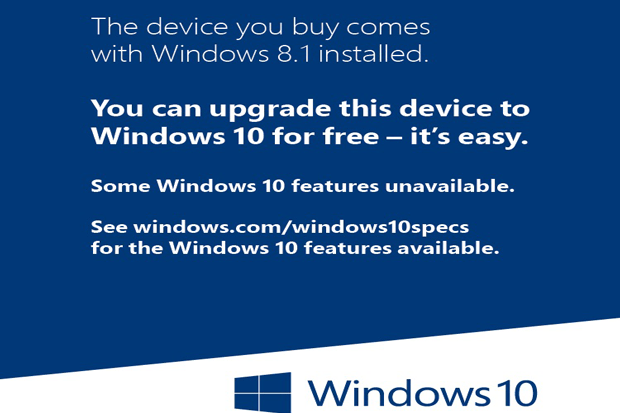 Microsoft intends to make Windows 10 installed on a billion devices over the next few years. Meanwhile, the launch date of Windows 10 Mobile is not announced yet, though it’s believed to be soon after the Windows 10 for desktop and tablet is available.